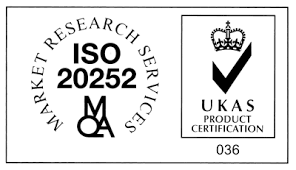 KGS Ltd has been committed to ISO 20292 (the international market research quality standard – formerly MRQSA BS7911:2003) since the early 2000’s. As such all aspects of KGS Ltd are annually inspected and assessed externally. KGS maintains a large UK field force overseen by a network of supervisors. All interviewers carry an MRS (Market Research Society) identity card verifying their credentials as a bona fide interviewer. Regular back checks on work conducted, supervised interviews and regular training ensure our high standards continue. As well as having individual MRS members, KGS Ltd is also a company partner of the MRS.
You [KGS Ltd] know your stuff and can get on with things. Quality/believability of the data you collect is very good. "Quality is endemic throughout the company." the team always understand the issues we face and react accordingly without stress or panic. Always helpful and cheery. A pleasure to work with.